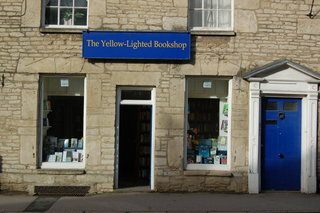 The Yellow-Lighted Bookshop, Tetbury, Gloucestershire, U.K. I have always and ever been a lover of books and bookstores, and for over 20 years worked as a bookseller. This book is a memoir of my time in bookstores, but also a history of bookselling and publishing, from the great library at Alexandria to today's City Lights. Mostly, though, the book is meant as a full-on celebration of this common but vital place. If you love the feel of walking into a bookstore and the promise those stacks and shelves hold, well, I've got a book for you. The Yellow-Lighted Bookshop was on bestseller lists on three continents and has been translated into Spanish, Korean, and two Chinese editions (both simple and complex characters). There are two bookstores in England named after it, owned by the delightful and fierce bookseller Hereward Corbett. 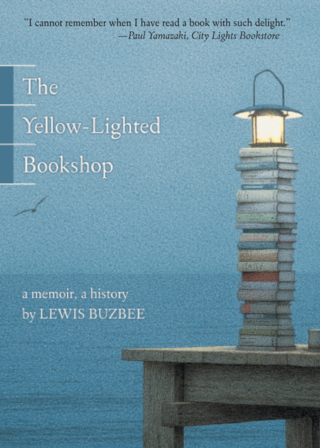 Please visit them: The Yellow-Lighted Bookshops. "I cannot remember when I have read a book with such delight." "Both anecdotal and eloquent, The Yellow-Lighted Bookshop is a tribute to those who crave the cozy confines of a bookshop, a place to be 'alone among others' and savor a bountiful literary buffet." "Buzbee takes us from the back rooms filled with bookstore clutter to the book stalls run by itinerant hawkers in the first millennium." When I walk into a bookstore, any bookstore, first thing in the morning, I’m flooded with a sense of hushed excitement. I shouldn’t feel this way. I’ve spent most of my adult life working in bookstores, either as a bookseller or a publisher’s sale rep, and even though I no longer work in the business, as an incurable reader, I’m in a bookstore at least five times a week. Shouldn’t I be blasé about it all by now?. In the quiet of such a morning, however, with the store’s displays stacked squarely and its shelves tidy and promising, I know that this is no mere shop. When a bookstore opens its doors, I sense that the rest of the world enters, too, the day’s weather and the day’s news, the streams of customers, and of course the boxes of books and the many other worlds they contain–books of facts and truths, books newly written and those first read centuries before, books of great relevance and of absolute banality. Standing in the middle of this confluence, I can’t help but feel the possibility of the universe unfolding a little, once upon a time.